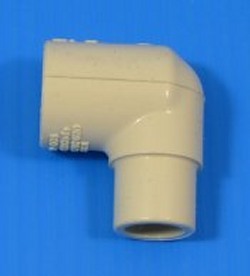 CPVC, CTS (Copper Tube Size, the almond colored pipe) Street 90° elbow, 1/2" slip x 1/2" spigot. (A link to our CTS Copper Tube Size CPVC pipe.) Made in the U.S.A.